On July 16, 2015, Crate&Barrel is opening their flagship store at SM Makati. As an opening promo, they are giving 10% off on ALL items from the leading home furnishings brand known for upmarket housewares and furniture designs. 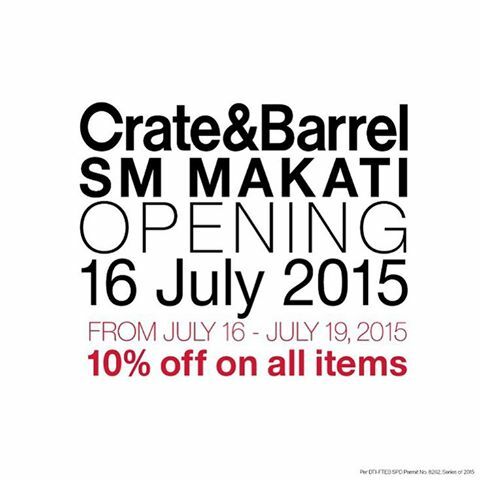 Crate&Barrel SM Makati opening promo runs from July 16 - 19, 2015.